Get immediate solutions to all your UAE financial queries. 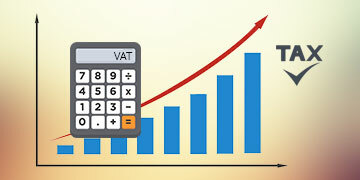 Business operations and tax environment in the UAE has become increasingly complex. With the demands for clarity on the variating taxation regimes and commercial laws, Shuraa Tax Consultants and Accountants is here to offer tax and VAT accounting services for the companies in the UAE. Shuraa Tax Consultants and Accountants helps you respond to these demands by providing timely and accurate tax accounting services in UAE. As per the Federal Tax Authority in the UAE, companies are now liable to maintain their financial records and book-keeping; as well as submit them for perusal during inspection or regular intervals. However, the concept of tax accounting is new in the UAE and not many businesses are fortified with the taxation laws of the UAE. Thus, companies require tax audit firms in UAE to guide them through the process of tax accounting and who better than Shuraa Tax Consultants and Accountants! Shuraa Tax Consultants and Accountants is a professional tax accounting and auditing company in UAE with a competent team of chartered accountants that support companies as well as sole proprietors. Tax accounting services at Shuraa involves annual tax provisions, financial year calculations, validation of the tax balance sheet accounts, implementation new UAE accounting standards as per the UAE Federal Tax Authority, applying variating law of taxation and so much more! Be it a multinational company or SME, we ensure that Shuraa tax accounting company in Dubai will provide you with the scope and understanding of presenting your balance sheet in an accurate manner. Shuraa's tax accounting services also sustains consistency through high-quality service in a timely manner. To find out more about the services we offer contact Shuraa Tax Consultants and Accountants right away! "To maintain the book keeping of your company or to manage tax in Dubai, UAE"
contact our Tax Consultants on +(971) 4408-1960 or drop in a quick enquiry.